UUUUUGGGGGHHHH!!! Why do I still have a little Tupperware of pumpkin in my fridge??? I’m so ready to move on! Except, these Pumpkin Muffins turned out so delicious that I have decided it’s not so awful to have pumpkin lolly gagging in your fridge. 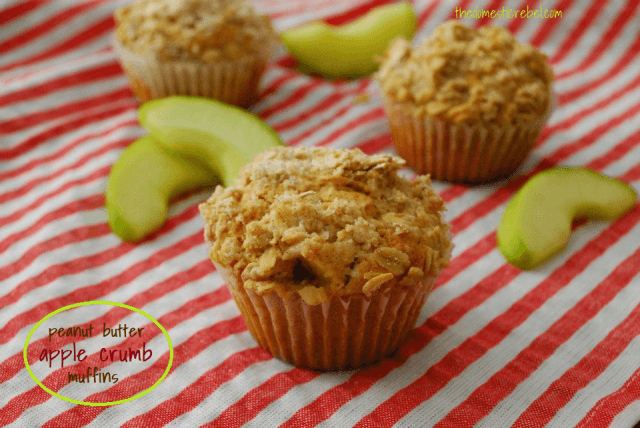 Not only are these healthier than your average muffin, but the texture is super tender and ooooohhh that crumb topping! These are the perfect breakfast to make for all of the guests you’ll be entertaining this holiday season. Just look at all of those delicious nooks and crannys that the creamy butter can hide in. I love warm muffins with butter, and a side of fresh fruit. It’s a perfect breakfast and I’m sure that your guests would think so too. I love how warm and snuggly the holidays feel, and favorite treats shared with loved ones are essential. Did you grow up traveling for Christmas or staying home? 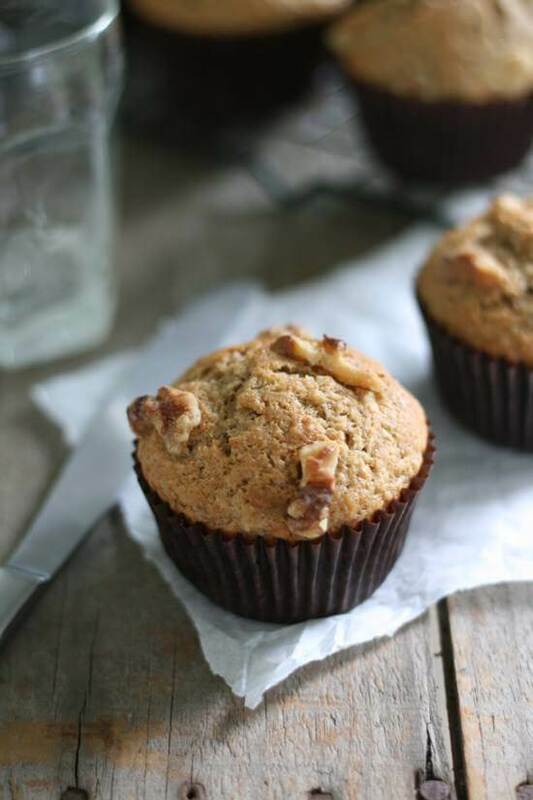 Can You Bake Muffins Without Paper Liners? 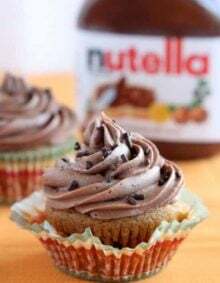 You can bake muffins and cupcakes without paper liners. Just make sure to use non stick spray and cover each section well. Pumpkin is packed with fiber, potassium, and vitamin C, all of which promote heart health. What Can You Substitute For Cake Flour? You can substitute cake flour with all-purpose flour and either cornstarch or arrowroot powder. Measure one level cup of all purpose flour, remove two tablespoons of the flour, and add two tablespoons of cornstarch or arrowroot powder back in. In a mixing bowl of a kitchenaid, mix together the butter and pumpkin. Add the sugar and cream together for 1 minute. Pour in the honey, vanilla, and milk, and turn the mixer onto low. As it begins to incorporate add one egg at a time, continuing to mix until smooth. In a separate bowl combine the flour, baking powder, baking soda, salt and seasoning. Whisk together and slowly add to the wet ingredients with the mixer on low. Turn the mixer up to medium speed for about 20 seconds. Add all of the ingredients into a bowl and using a pastry cutter or fork, mix everything together until it is thoroughly incorporated and resembles a crumb mixture. 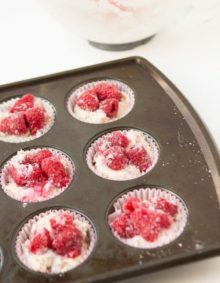 Spray a muffin tin or line it with baking cups. Ladle each cup about 3/4 full of the muffin mix. Sprinkle each muffin with an even coating of the mixture. Bake at 325, for 18-22 minutes. Remove from the oven and cool for 5minutes before removing from the pan. 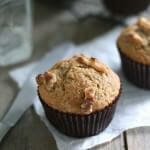 Well, it’s still Fall, so why not eat these beautiful muffins!!! I never get tired of pumpkin. I keep it in my freezer to use year round. These muffins look excellent. They’d be a great treat to wake up to in the morning. 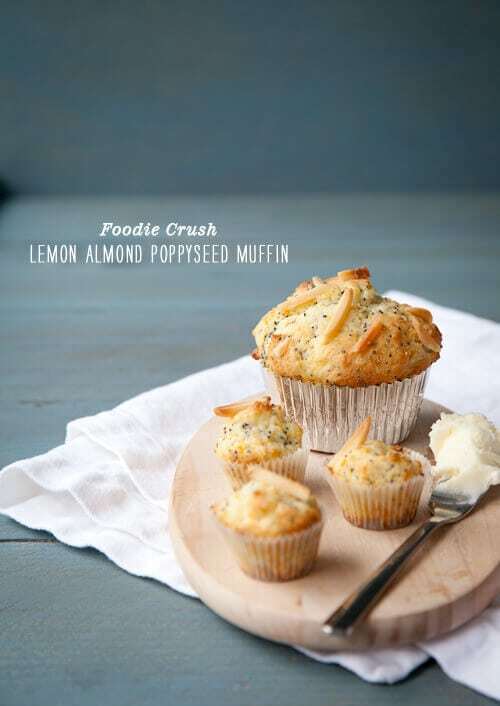 I love a muffin with a crumb topping! I think those huge ones from Costco are responsible for about half of the “freshman fifteen” from college. 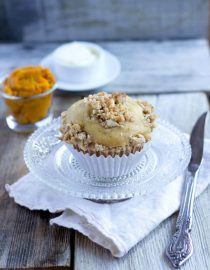 Holy moly, now I wish I had pumpkin lolly gagging in my fridge 🙂 these muffins look SO delish–can’t beat that gorgeous streusel topping! And thanks for the feature, girlie! I totally still have a tupperware of pumpkin in my fridge!! And a whole 29 oz can. Oy. Need to make these muffins obviously! These pumpkin crumble muffins are irresistible. Can’t wait to try them! Thanks. 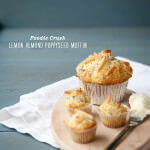 I love crumb muffins! Great way to use up that pumpkin! I thought I was totally over pumpkin….but these look fab! Might just have to try them! I can never get enough pumpkin! These look amazing! These look great and I feel the same as you. I’m over pumpkin recipes and pumpkin treats. My kids are not though, so I find myself picking up the cans of pumpkin puree and baking away! 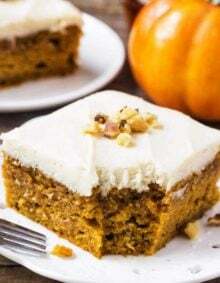 I love pumpkin…and what a great recipe to use up that last bit that always seems to be around…especially following all the pumpkin recipes out there!!! I love King Arthur products too! 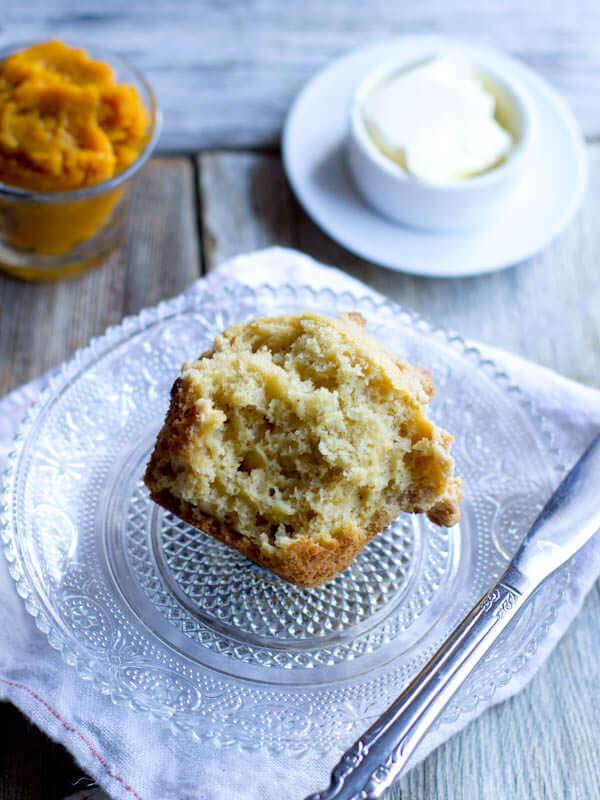 I am good with pumpkin anytime, especially in muffin form. 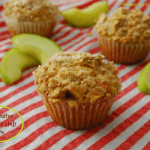 These looks moist and perfect for breakfast!